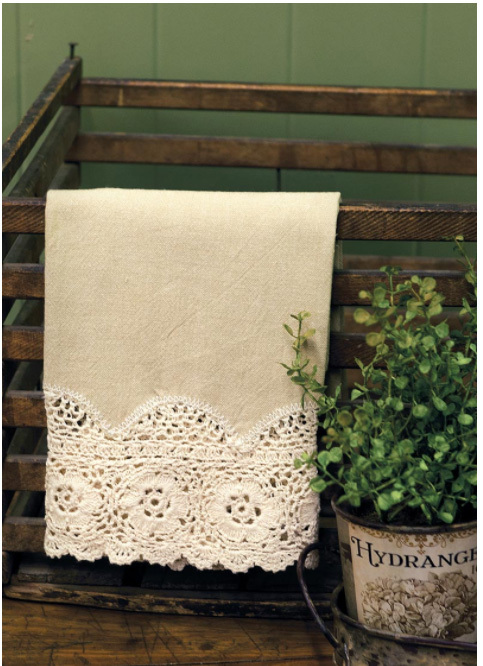 Return to days gone by when functional dish towels featured hand worked embellishments! 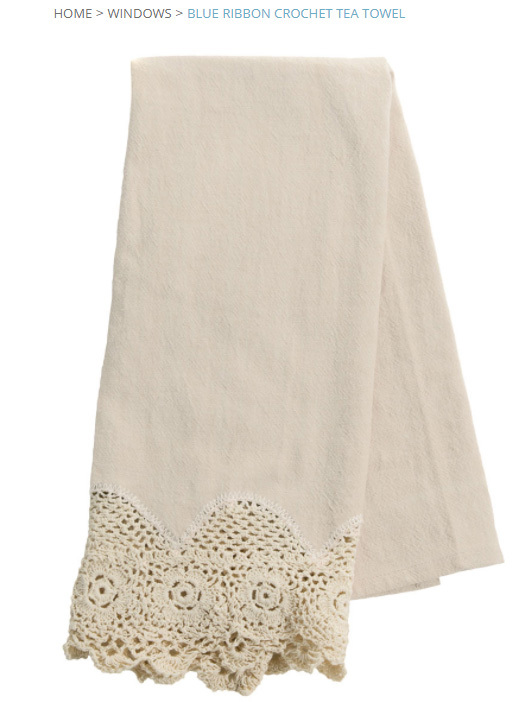 This natural beige cotton hangs at the ready to try hands or dishes while looking fabulous. Measures 18 x 28 and features a loop for hanging.